In Europe, neurologic manifestations of Lyme disease are more likely to occur in children than adults. 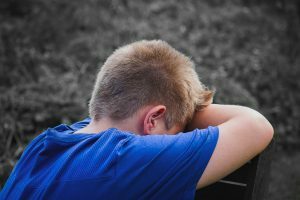 The authors of an article published in the Journal of Medical Microbiology Reports describe the case of a young boy who suffered a series of neurologic complications over several years due to Lyme disease. A review of the case demonstrates the difficulties in unraveling the cause of neurologic events in patients with a history of Lyme disease. “Neurological manifestations are reported in up to 15% of adult patients with Lyme disease, while the frequency among children is higher,” writes Kortela and colleagues from the University of Turku, University of Helsinki and Helsinki University Hospital in Finland. Painful radiculopathy, facial nerve paresis and lymphocytic meningitis are the most common symptoms of neurologic Lyme disease, according to Kortela. While epileptic seizures and cerebral vasculitis with stroke or aneurysms are rarely seen. Cerebral vasculitis, also referred to as central nervous system (CNS) vasculitis, is inflammation of blood vessel walls in the brain or spine. Most patients with cerebral vasculitis experience headaches. Other symptoms can include cognitive impairment, disturbance of gait and focal neurological deficit or stroke, according to Kortela. In this case, cerebral vasculitis due to Lyme disease resulted in a stroke and aneurysms. An 8-year-old boy had a history of attacks with intense headache and fever for a few months. The brain magnetic resonance imaging (MRI) scan was reported negative but the records were not available. The attacks resolved spontaneously. However, the boy complained of fatigue, slight motor clumsiness, and learning difficulties in school. Three years later, he was prescribed hearing aids because of sensorineural auditory dysfunction. At age 12, the boy had a seizure with hallucination, vomiting and aphasia. “Brain MRI revealed multiple findings with leptomeningeal, cranial nerve and artery wall enhancement compatible with vasculitis and disturbances in CSF [cerebrospinal fluid] circulation,” writes Kortela. Aphasia is a disorder caused by damage to the parts of the brain that control language. It can make reading, writing and speaking difficult. “The changes were considered to be inflammatory, but it could not be judged whether they were acute or chronic.”  The boy was treated with anticonvulsive medication after an electroencephalography (EEG) showed focal left-sided slow spike-wave discharges. Over the next two months, the boy suffered 3 more seizures. He was readmitted to the hospital after his 4th seizure. A spinal tap revealed lymphocytic meningitis. He was transferred to another hospital where he was diagnosed with Lyme disease based on a clearly abnormal spinal tap. The 12-year-old was treated for 2 weeks with intravenous ceftriaxone, and the anticonvulsive medication was discontinued. At age 14, the boy presented with left hemiparesis (weakness of one entire side of the body) and aphasia that resolved in a few hours. The EEG was normal. However, the spinal tap revealed low levels of Borrelia-specific IgM antibodies and clearly elevated IgG. • The elevated IgG was viewed as compatible with his previously treated disease. • The level of a spinal tap biomarker CXCL13 was low (58 pg ml-1). The brain MRI and MRA (magnetic resonance angiography) demonstrated an acute right temporal infarct. Additionally, an 8 mm aneurysm with partial thrombosis was detected in the left anterior cerebral artery. Two additional 2mm aneurysms were noted. The boy was discharged with 200 mg dose of acetylsalicylic acid and plans for surgical clipping. Lyme disease has been associated with aneurysms. One week later, the boy was hospitalized with an intensive headache. There was no evidence of hemorrhage by brain computed tomography angiography (CTA) and MRA. Three other small aneurysms were discovered. The boy was started on a 4-week course of intravenous ceftriaxone for Lyme disease based on three findings: 1) fatigue, 2) marked elevation of his CXCL13 levels and 3) persistently high CSF B. burgdorferi-specific antibody levels. The boy was also treated with five pulses of intravenous methylprednisolone (1 g daily) along with acetylsalicylic acid. At age 16, the boy continues to have some learning difficulties in school. A neuropsychological test after the first operation showed a moderate level of cognitive performance and a special difficulty in verbal functions. “Whether this was a consequence of neuroborreliosis or a chance association remains unknown,” writes Kortela. Kortela, E., et al., Cerebral vasculitis and intracranial multiple aneurysms in a child with Lyme neuroborreliosis. JMM Case Rep, 2017. 4(4): p. e005090. Mineyko, A. and A. Kirton, Mechanisms of pediatric cerebral arteriopathy: an inflammatory debate. Pediatr Neurol, 2013. 48(1): p. 14-23. Oksi, J., et al., Intracranial aneurysms in three patients with disseminated Lyme borreliosis: cause or chance association? J Neurol Neurosurg Psychiatry, 1998. 64(5): p. 636-42. Hinterseher, I., et al., Presence of Borrelia burgdorferi sensu lato antibodies in the serum of patients with abdominal aortic aneurysms. Eur J Clin Microbiol Infect Dis, 2012. 31(5): p. 781-9. Cuisset, T., M. Hamilos, and M. Vanderheyden, Coronary aneurysm in Lyme Disease: treatment by covered stent. Int J Cardiol, 2008. 128(2): p. e72-3. No Replies to "Case report: Lyme neuroborreliosis more common in children"